Here you can see an operator who has been forced to abandon ship and finds himself in deep water. He would be weighed down by his armor and equipment and if it weren’t for the FirstSpear flotation integrated into his armor’s cummerbund he might well drown. However, once it is activated he comes to the surface and can not only survive but return fire if needed. A few rounds with the German Wespe self propelled gun! It’s been a while since posting the last round, but were cleaning out our video archive to get ready to bring you some all new footage coming soon! 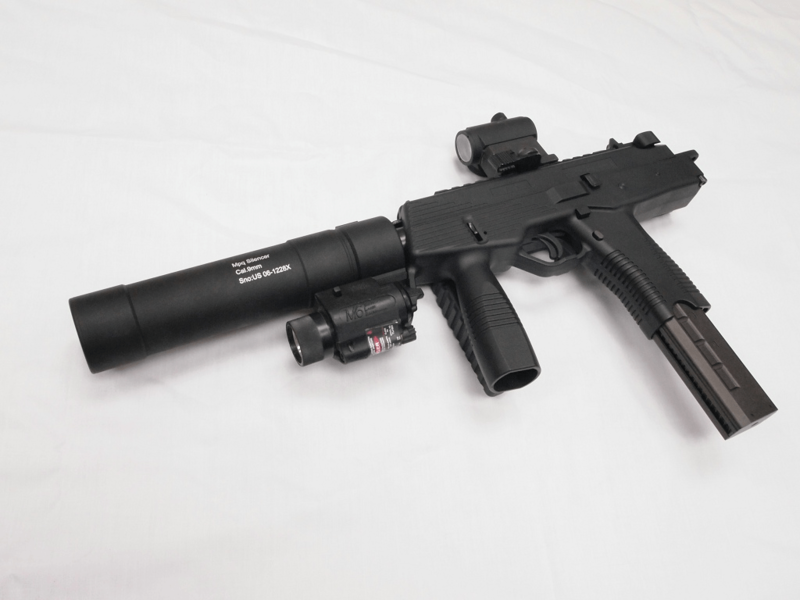 "Nutnfancy’s Answer to Mk 12 Mod 1: Concept SPR"
The Magpul P-Mag is one of the popular magazines in the airsoft market, and for good reason. However, alot of people tend to ask if the magazine will fit properly in their AEG. Well worry no longer! In this episode of GITV, Josh and Andrew will take you through the magazines and test them on multiple platforms. This is an update on the retailer review I did on Airsoft Outlet Northwest. I had an issue with the product and this video documents how they handled it. Built with extreme attention to detail, the NEW WE Tech X-Tactical gas blowback airsoft pistol is one of the most realistic and hardest kicking handguns to come out of WE Tech’s factory. 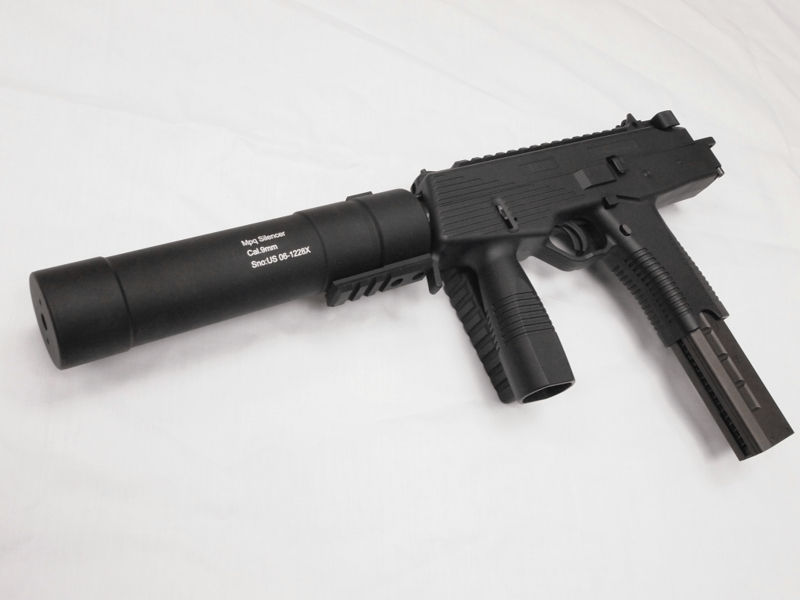 This gas blowback pistol features a rugged and durable metal slide and a non-slip textured polymer frame, giving it a balanced and comfortable feel. High grade full metal internal components provide the WE Tech X-Tactical with unparalleled accuracy and range, as well as realistic recoil. The fully functional serrated slide cycles amazingly fast after each shot, and sounds crisp and powerful. Disassembly is nearly identical to its real steel counterpart and allows easy access to the hop-up adjustment, located beneath the barrel. If you are looking for a modern tactical pistol that truly stands out in the crowd, the NEW WE Tech X-Tactical is the perfect gas blowback airsoft pistol for you! 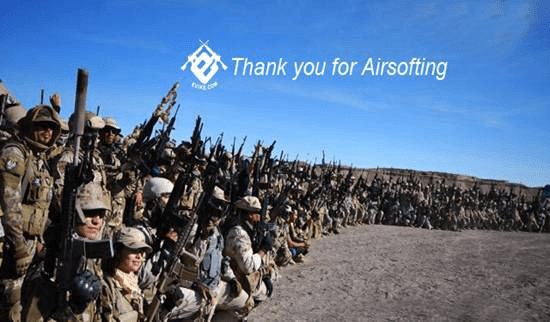 AirSplat joined the airsoft fun for Operation Black Shield: Secondary Protocol at SC Village on July 14th. 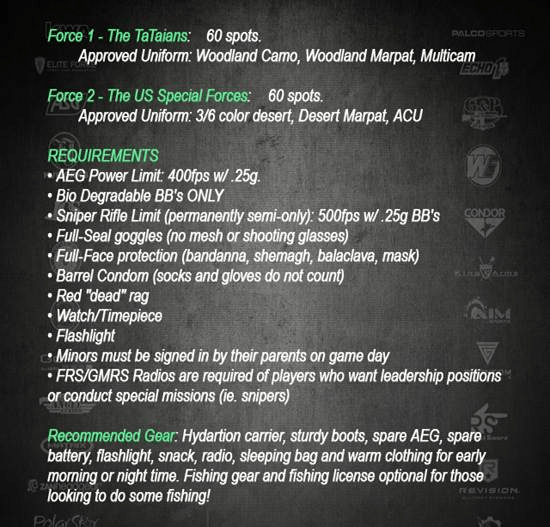 The AirSplat team was there handing out a bunch of great swag including – posters, BBs, shirts, guns, and MORE! Take a look and see what a great turn out it was! New DVD Releases from Tuhon Tim Waid. Double Sword, Espada y Daga, and Pangamut/Dumog/Empty-Hands. Learn and train the Authentic Pekiti-Tirsia Kali System properly with basic through advanced Tactics, Techniques and Training Methods available only through PTKGO, the global authority for PTK and FMA. New DVD Releases from Tuhon Tim Waid. Double Sword, Espada y Daga, and Pangamut/Dumog/Empty-Hands. Learn and train the Authentic Pekiti-Tirsia Kali System properly with basic through advanced Tactics, Techniques and Training Methods only available through PTKGO, the global authority for authentic PTK and FMA. 2. Steel parts including fire control external part recoil Kit. 3. GKS-74 series magazines are compatible with AKM magazine. 5. Increase magazine gasification efficiency. 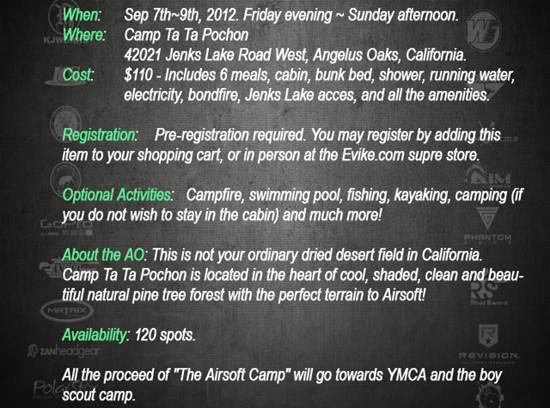 AirsoftCon 2012 is coming October 5th-6th 2012 ! 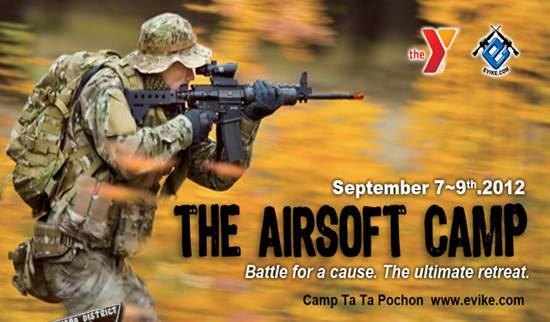 This will be an epic weekend as we are combining our Official Grand Opening with our Annual AirsoftCon Sale so you can expect not just great deals, but an amazing time with over 50+ vendors, famous L.A. Food trucks, jumper obstacle courses, movies, video game contests, tons of interactive activities, give-a-ways, music, raffle, gear contests, and much more! 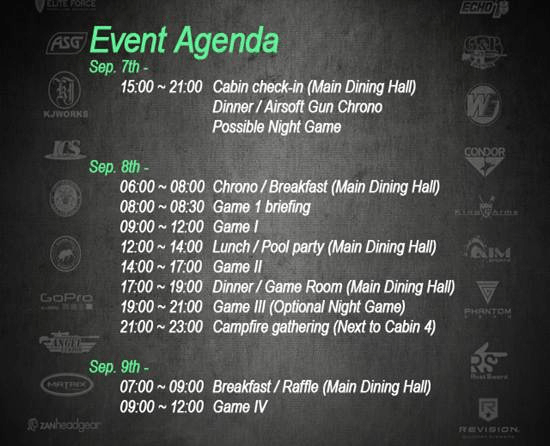 Stay tuned for the next few weeks to see what we’re bringing you this year for AirsoftCon 2012! With 100,000 sq. 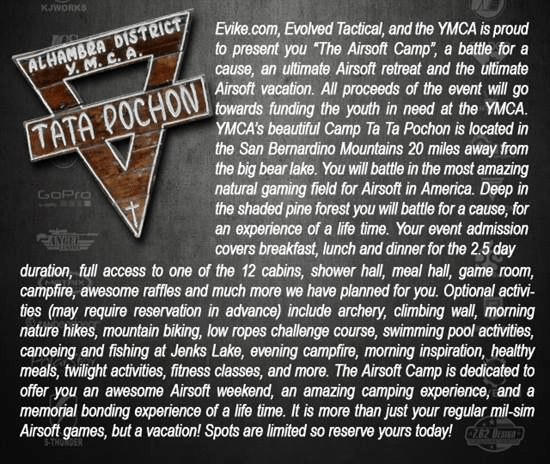 ft.of airsoft goodness, tons of parking, and all your favorite vendors – you are bound to have a great time with friends and family. Always trying to keep our clients happy by getting new knives in stock and replacing old stock; here is our latest update. 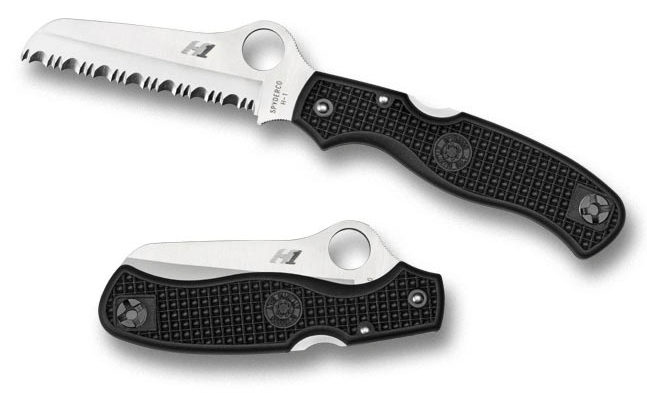 These knives are aimed at the military market but are suitable for most roles in the field. A great little Spyderco knife. 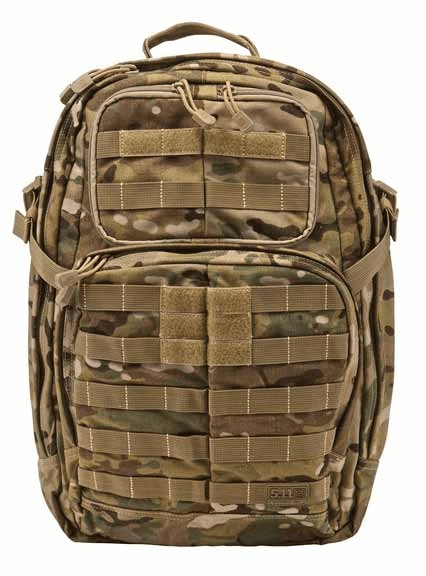 Strong yet lightweight and very dependable. Spyderco Atlantic Salt knife is a modified Rescue made with state of the art non-rusting H1 steel. A great entry level tanto style blade and very cool it is too! Part Serrated blade for ease in cutting wood and plastics etc. Total knife length 8.4 inches. The Gerber AR 3.00 Stainless, fine edge is a lightweight (2.8 oz) pocket knife suitable for everyday use. It has a 2.95" blade length and an overall length of 6.95". 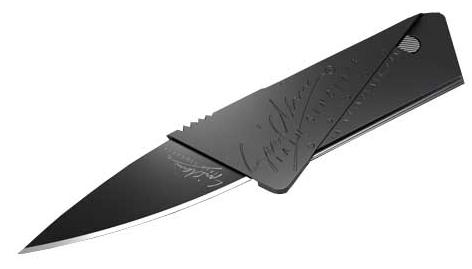 An awesome little knife that folds up into a card size package. unique safety lock (cannot open in pocket or drawer and child proof). 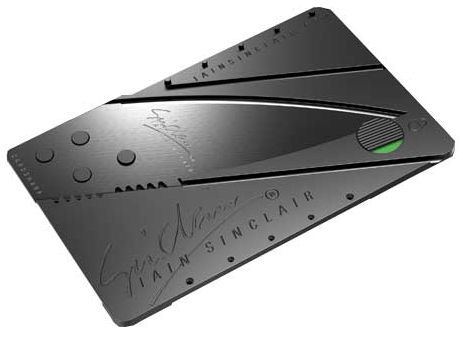 Just three ingenious folding operations metamorphosise the card into an elegant pocket utility tool. 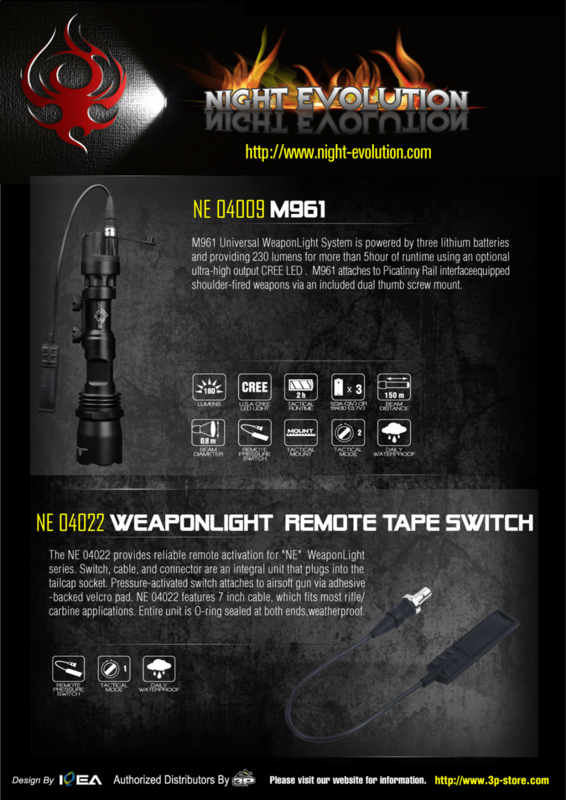 Night Evolution it’s a new company to provide a better solution for wargamer on battle.Perfect light beam with TIR lens, Brighter light with CREE LED, New structure in this market. Low price but Strong light. 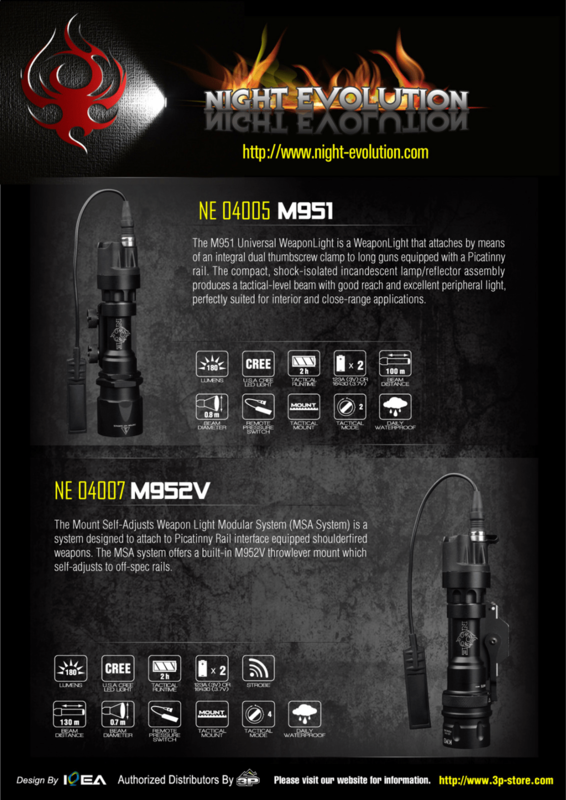 All "NE" products will come to FPS outlets at September,please come to our site to get more information. Dear ArniesAirsoft, please note our latest tests&reviews about the Steyr AUG A3 Real Steel made by Etabeta, the utility/tactical light Streamlight Sidewinder made by Etabeta too, anche about the Magpul Angled Foregrip AFG2 made by RedBull. Hi Guys, With the end of the summer fast approaching we are doing some special deals on 5.11 RUSH packs with up to £20 off, but to claim your discount you will need to do a bit of treasure hunting by visiting our facebook page to get the codes. The Crosman Pro Airsoft Mask is torture tested by Dr. Airsoft and Rangemaster Larry on this Airsoft Medicine video. It is found to be adequate for protection of the eyes and face in normal airsoft skirmish conditions for prevention of eye and face injury. 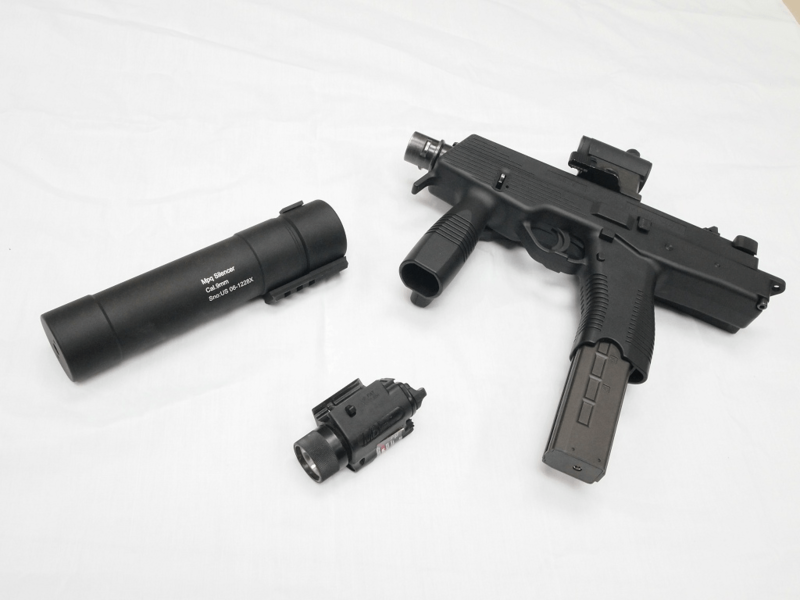 Attached photos are our Angry Gun ‘s new products – MP9 power up silencer, after adding the power up silencer to MP9, muzzle velocity +30% without any modification. Improve accuracy and air seal with this innovative kit. Cheap, quick and easy to install, it holds the barrel assembly securely in place – essential if you want an accurate AEG. With almost no tools required, it can usually be installed in under 5 minutes, meaning you don’t need any specialist knowledge to use it. This clever self-adjusting ring fits around the inner barrel and firmly secures it to the hop up unit. This eliminates movement between the hop up unit and barrel, making your hop up more consistent and providing better accuracy. A precisely contoured wedge which is inserted between the inner and outer barrels, locking the inner barrel in place to prevent it moving within the gun – a major source of inaccuracy. This greatly improves upon the common practice of wrapping the inner barrel with tape. These are used as spacers at the front of the hop up unit to firmly set it against the gearbox. This improves air seal by allowing the air nozzle to protrude further into the bucking lips, and by preventing the hop up unit from moving at all, better consistency can be achieved. Barrel Lockdown Kits ordered before 3pm Monday to Friday will be despatched the same day. Airlab is a UK based online retailer specialising in high quality airsoft upgrade parts.